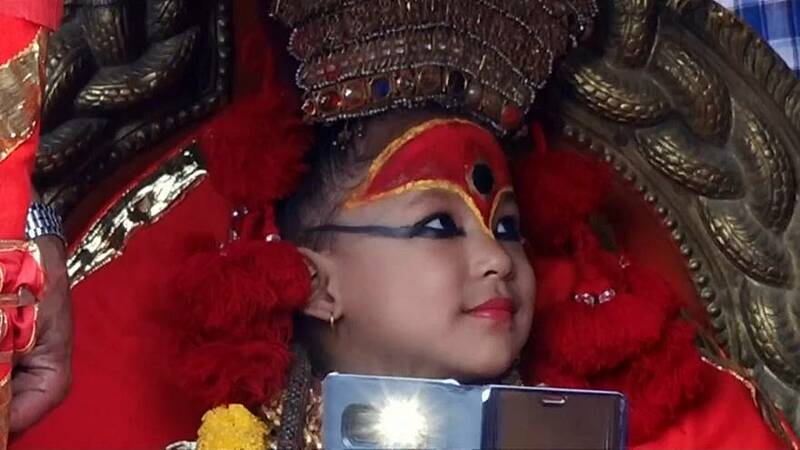 Four-year-old Trishna Shakya was anointed last year in line with centuries-old tradition. The role of living goddess means she must live in a temple and away from her family home until she reaches puberty. She will be waited on by temple staff, can only leave the temple 13 days a year for religious festivals, and her feet are not supposed to touch the ground. Catching a glimpse of Kumari when she leaves the temple is considered to bring good luck. She is considered by many as an incarnation of the powerful deity Kali and is revered until she menstruates, after which she must return to the family and a new one is chosen.